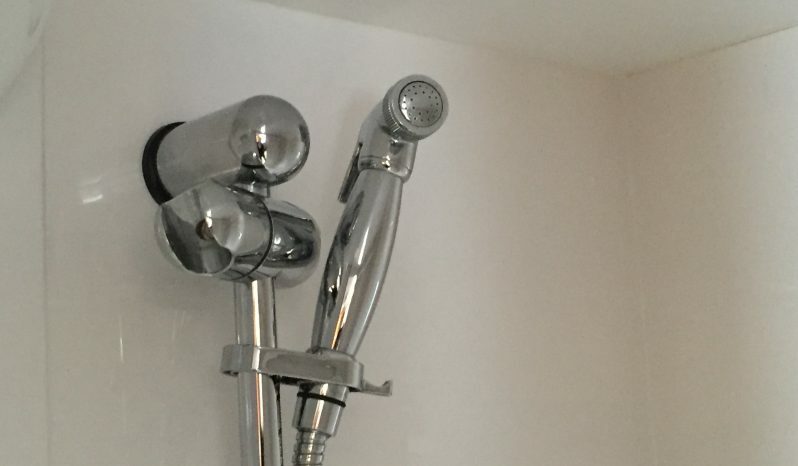 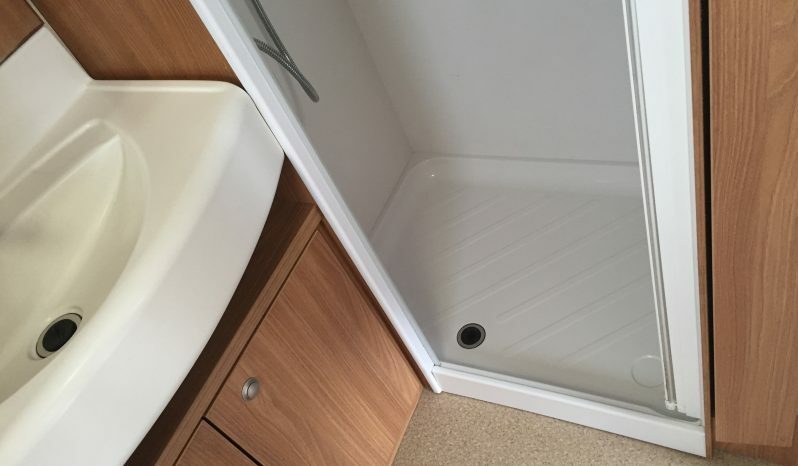 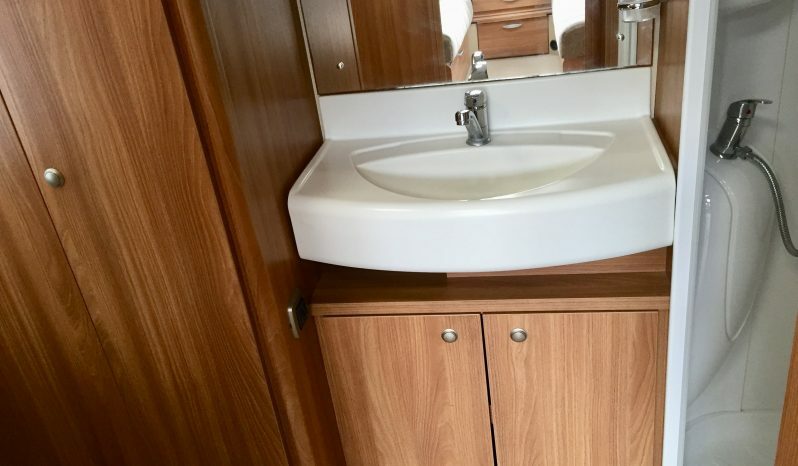 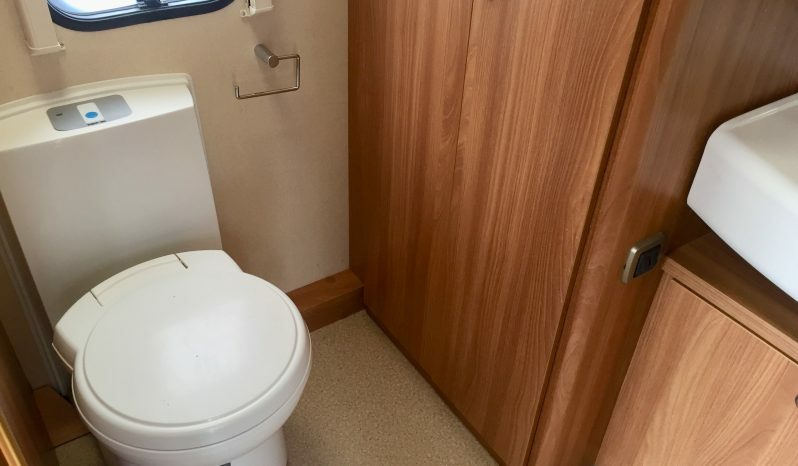 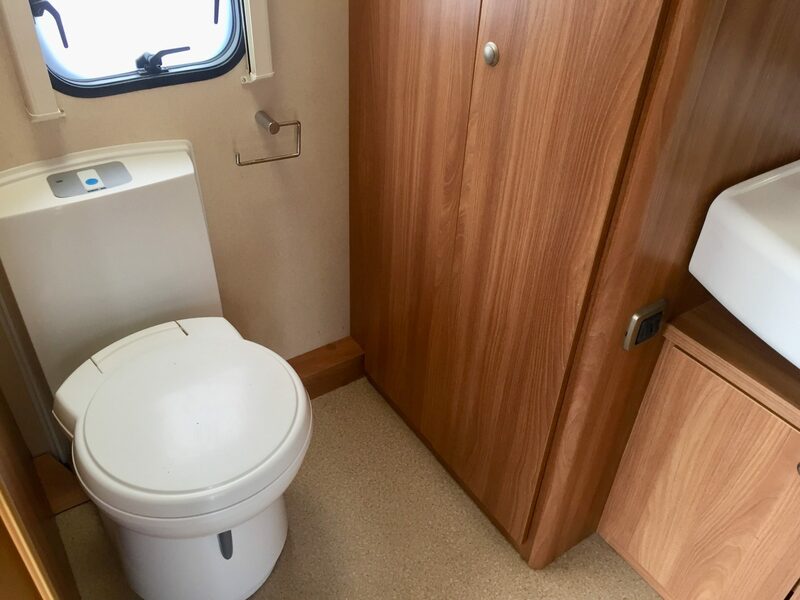 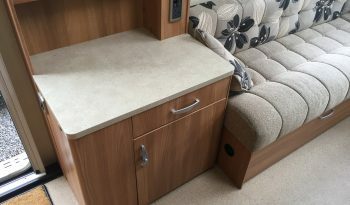 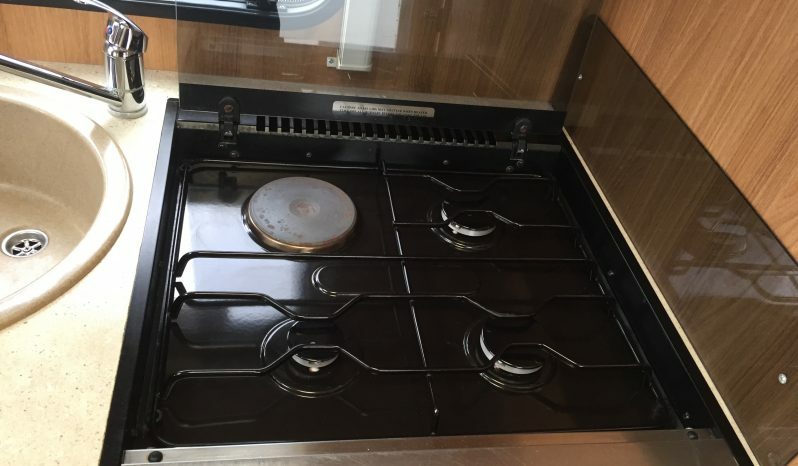 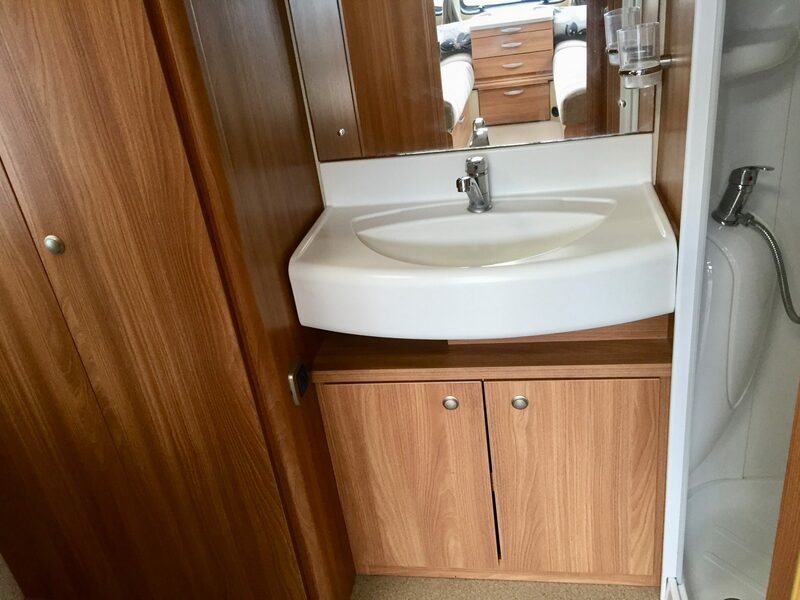 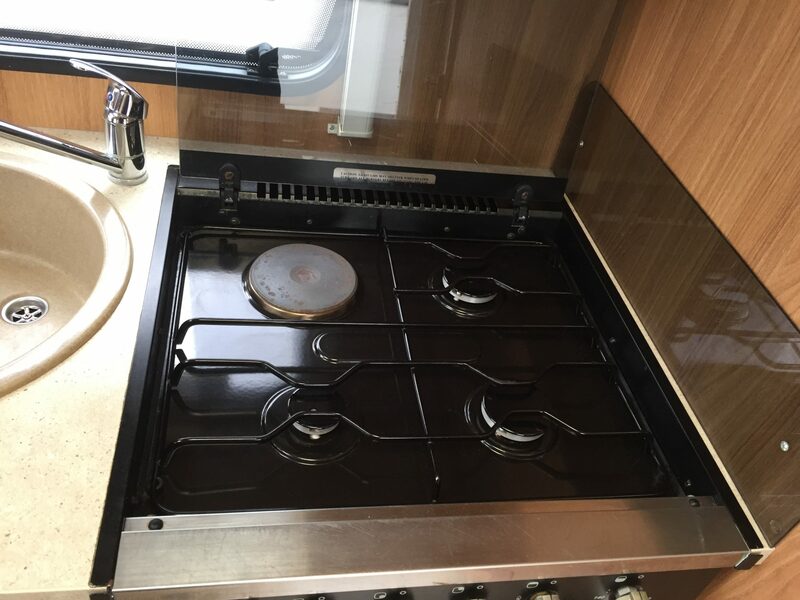 2 Berth, End Washroom, Separate Shower, and is in very good condition. 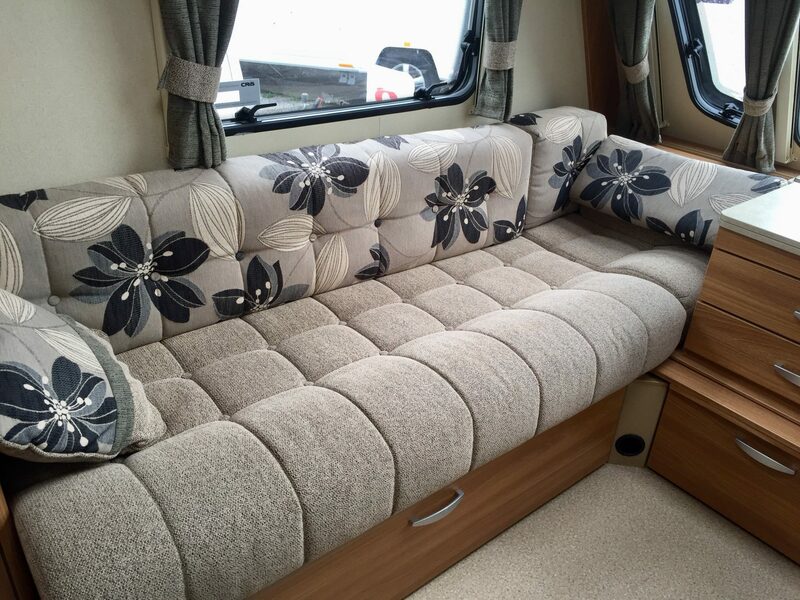 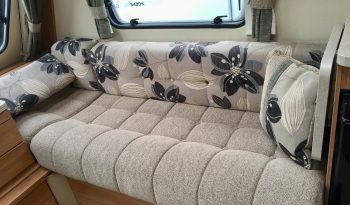 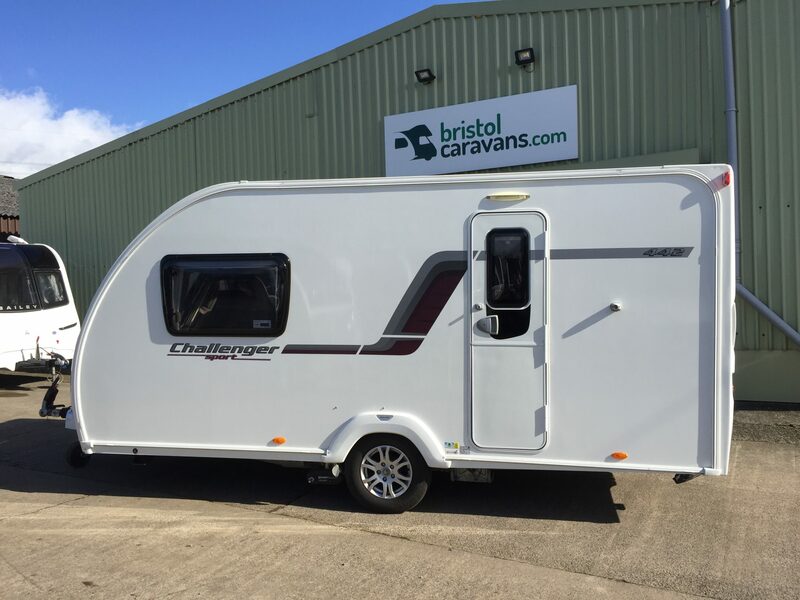 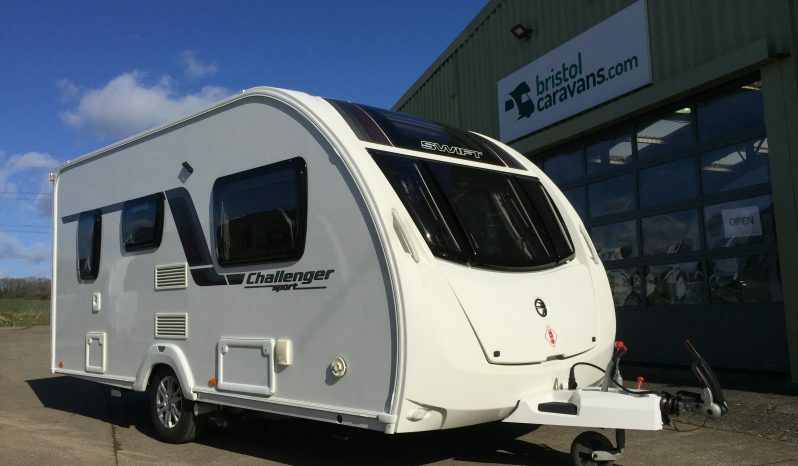 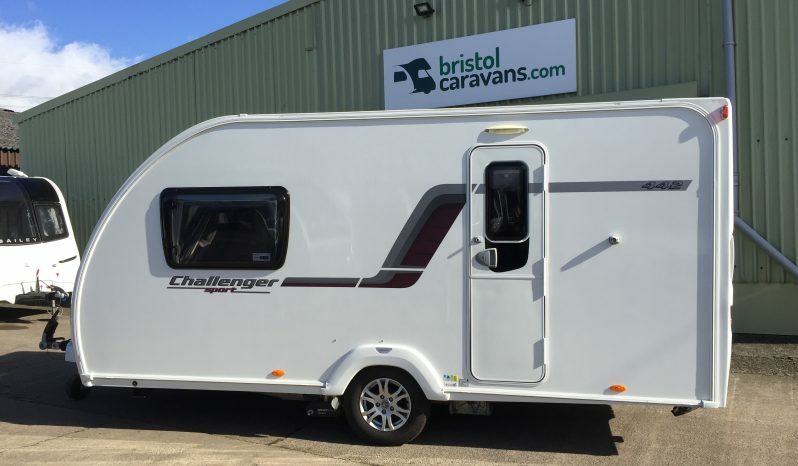 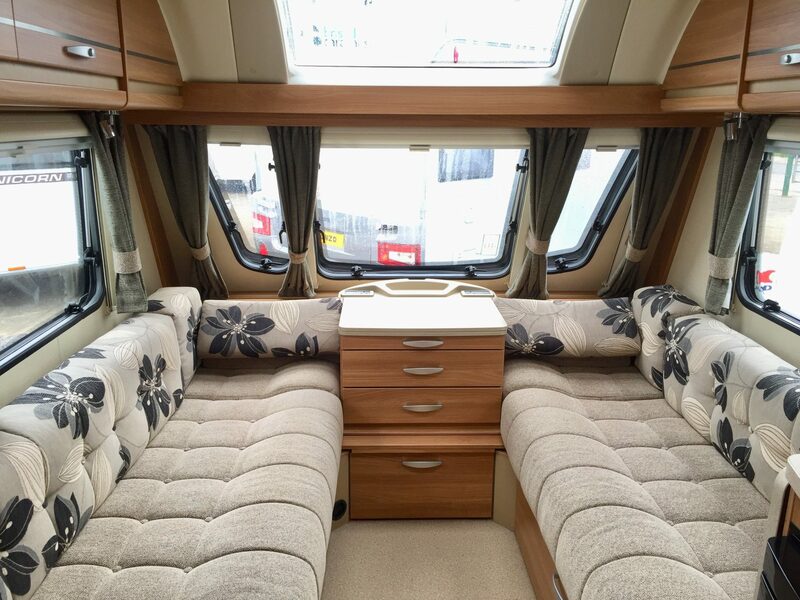 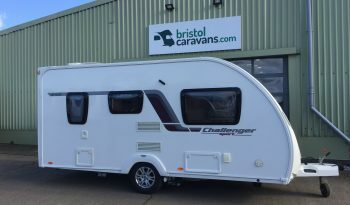 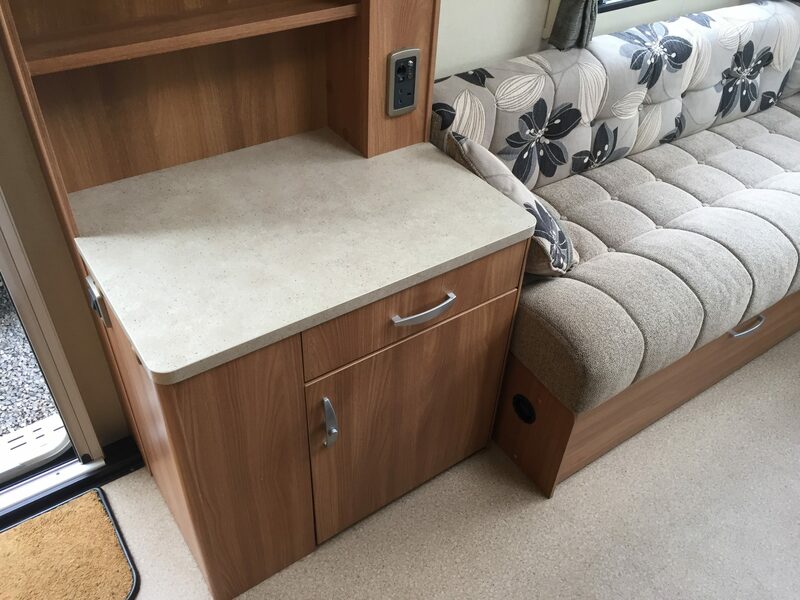 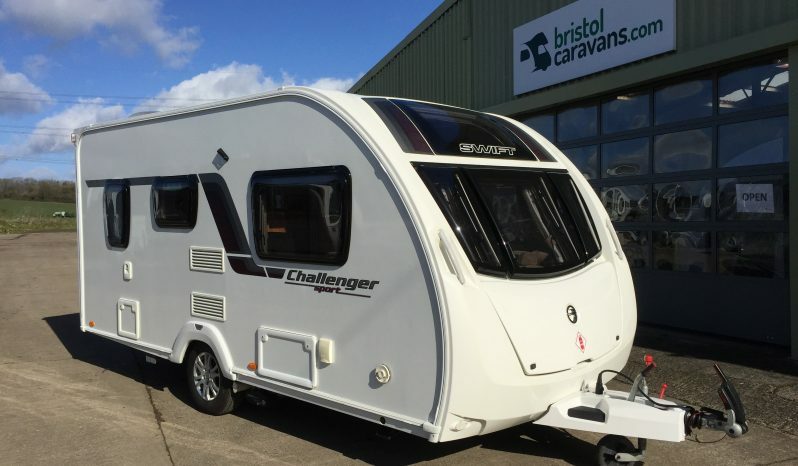 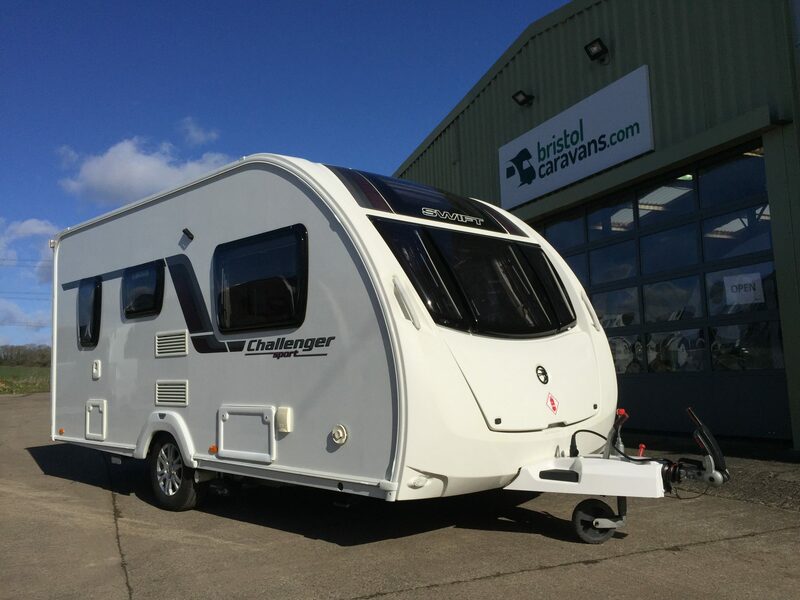 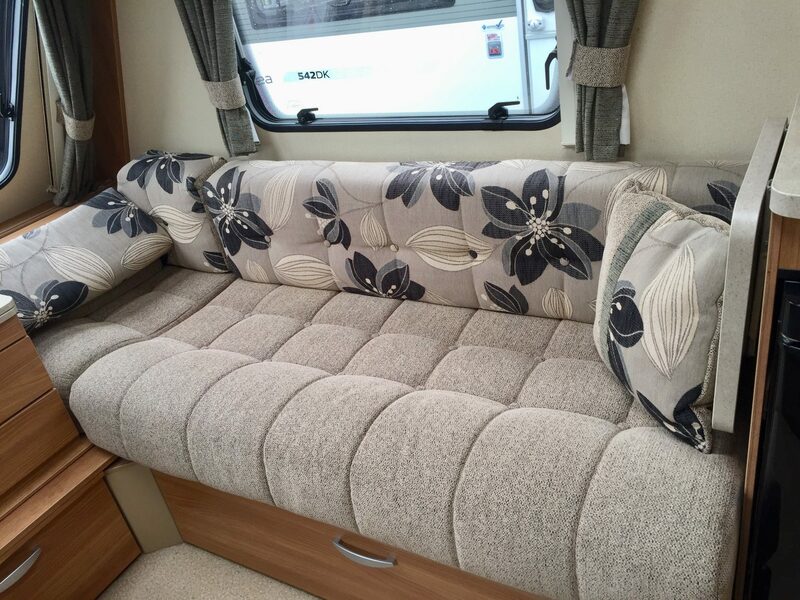 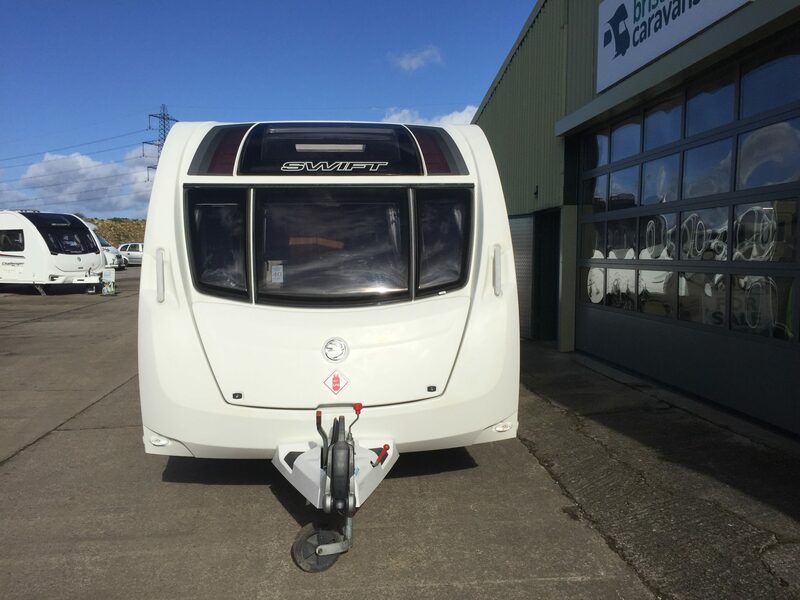 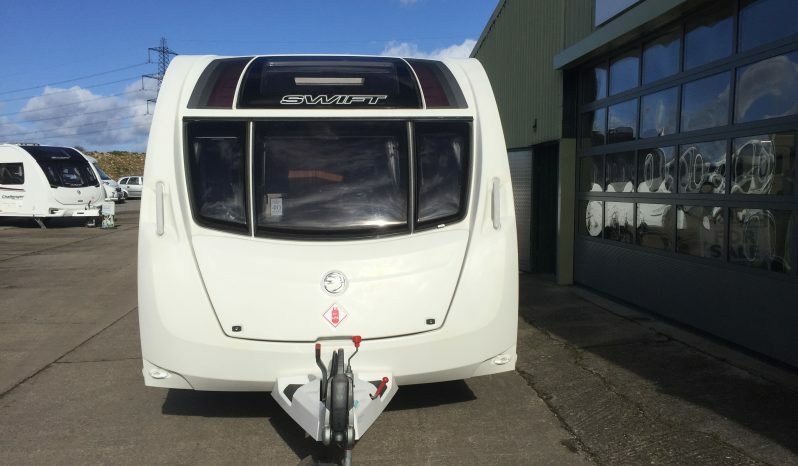 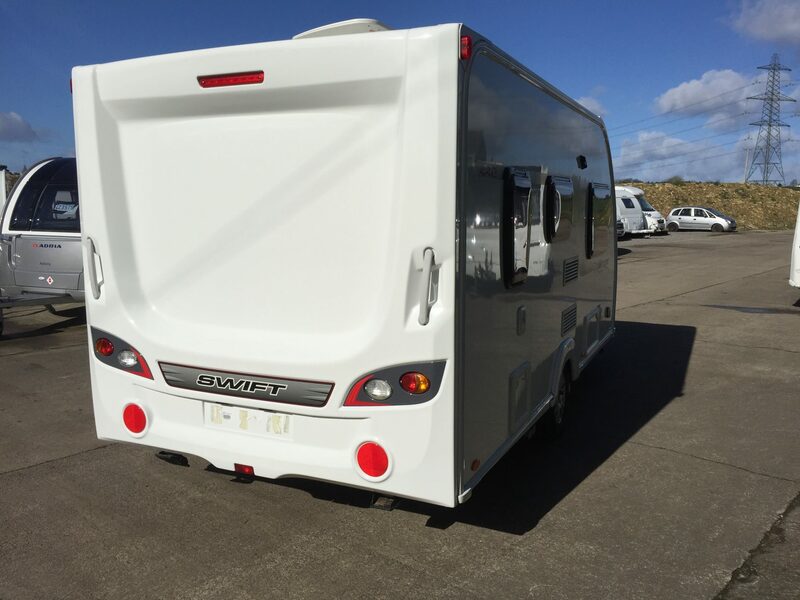 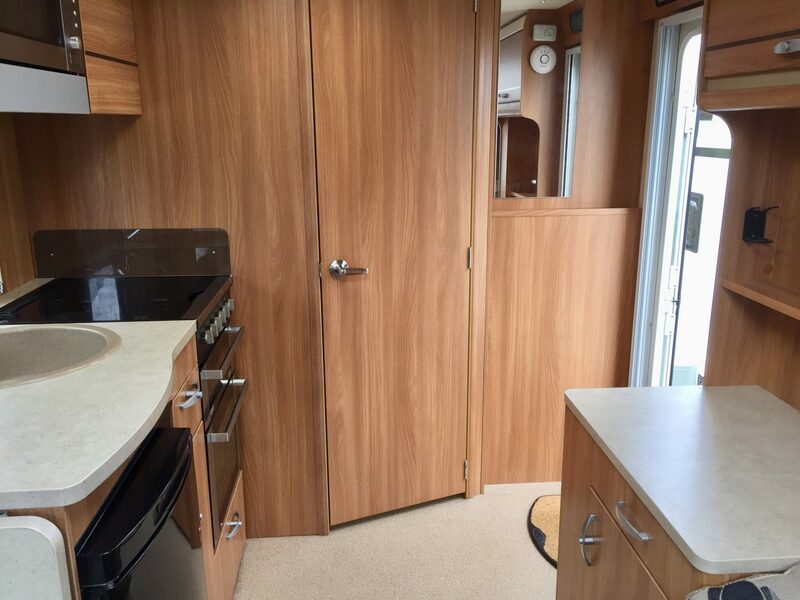 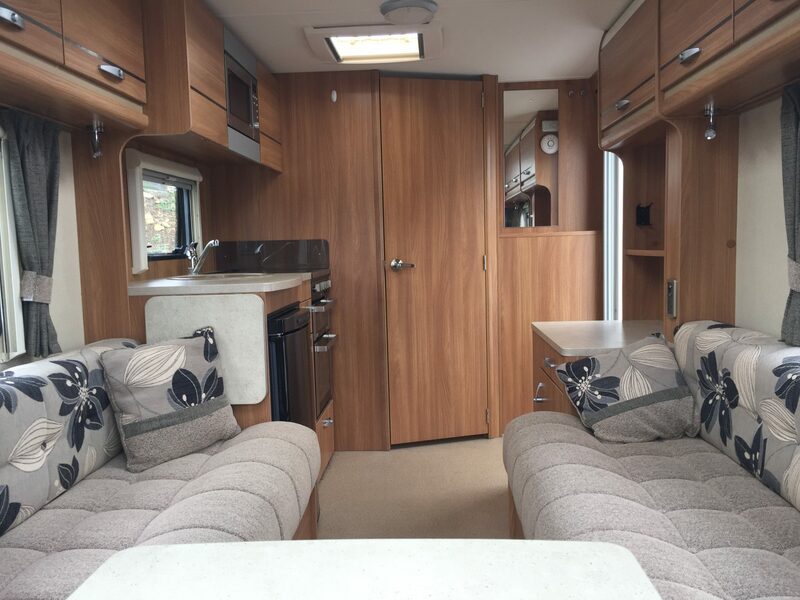 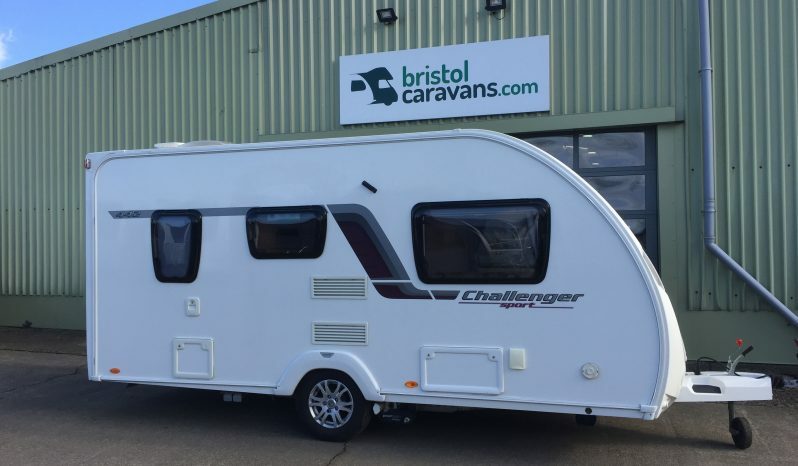 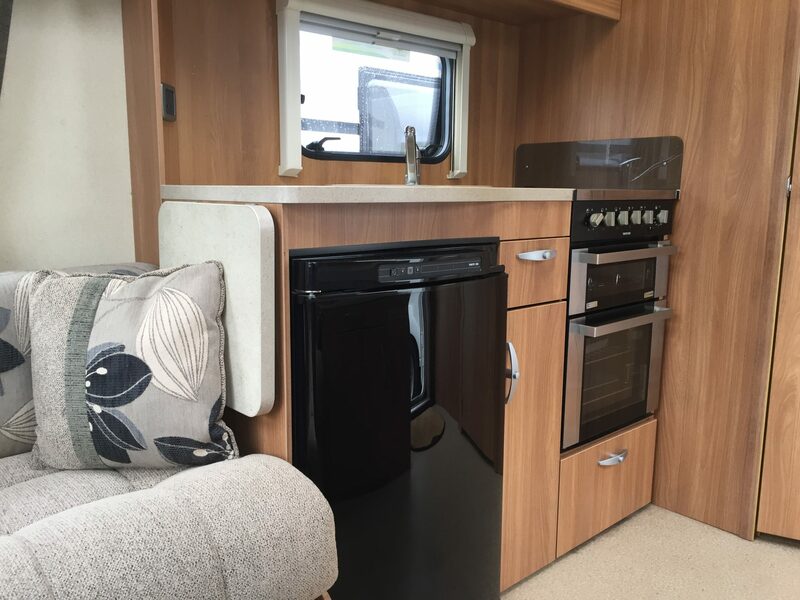 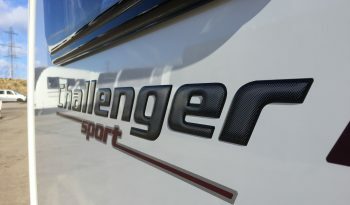 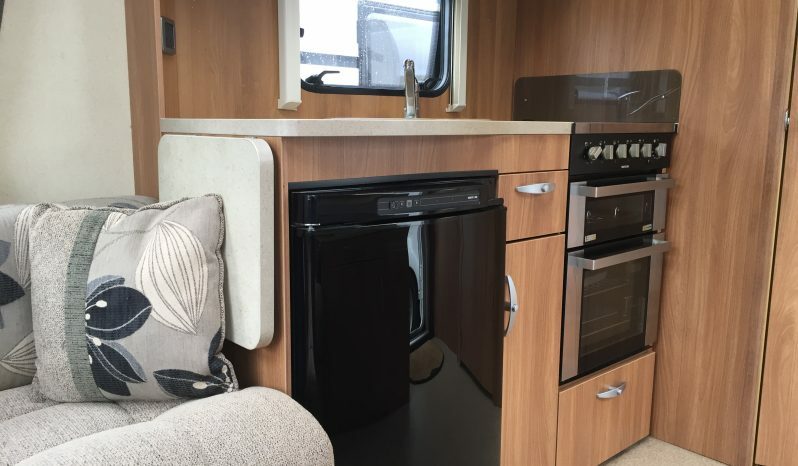 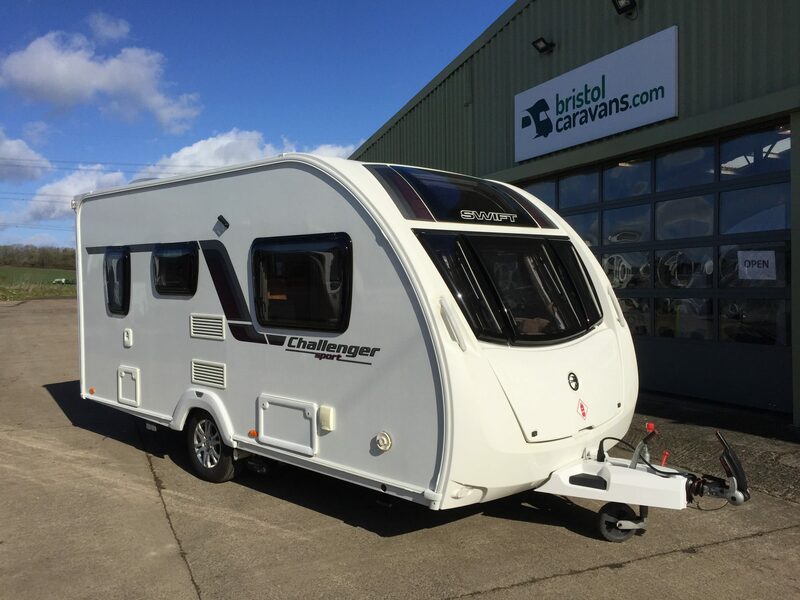 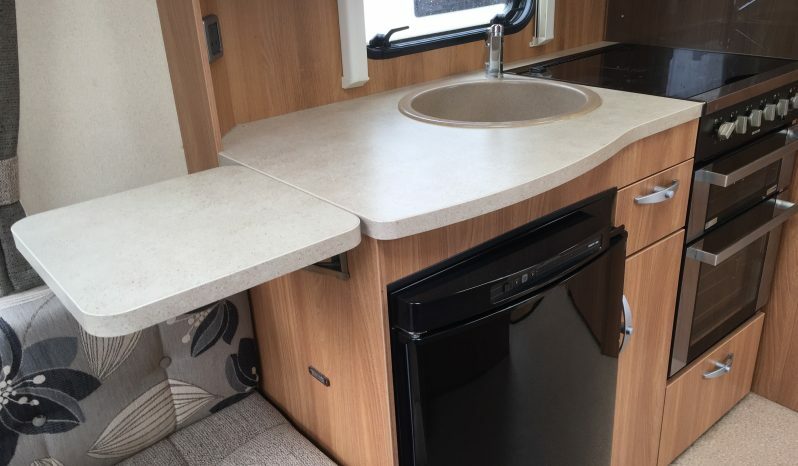 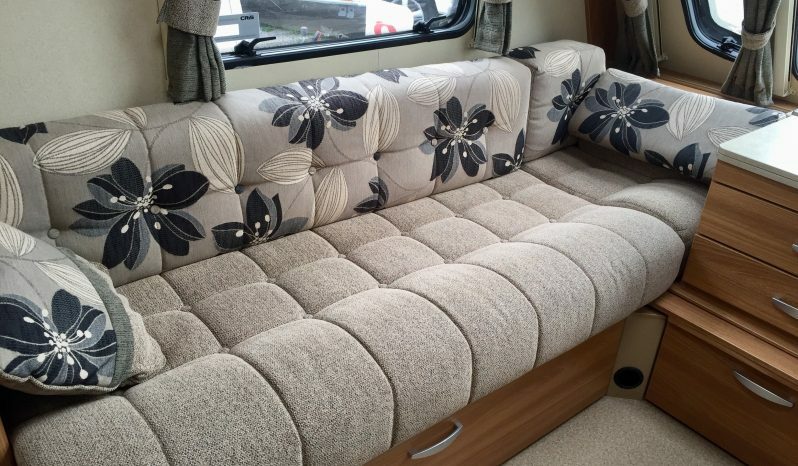 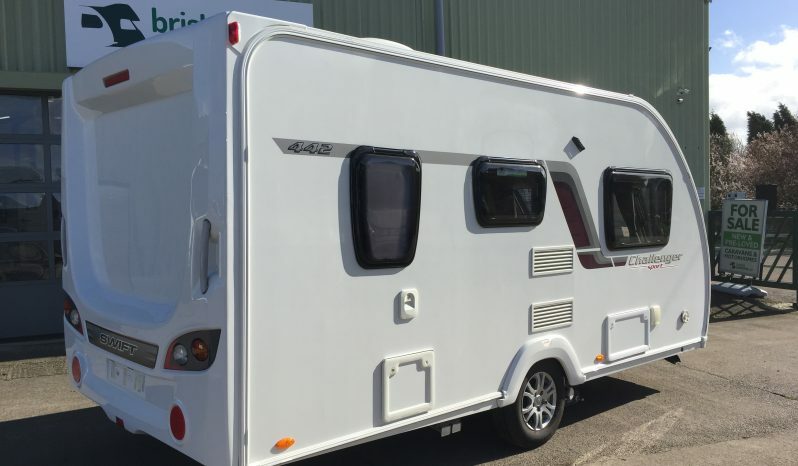 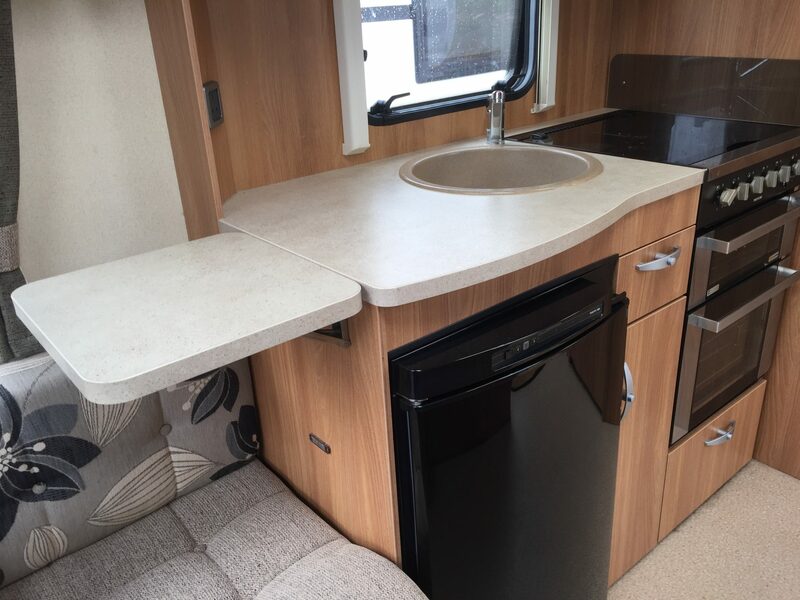 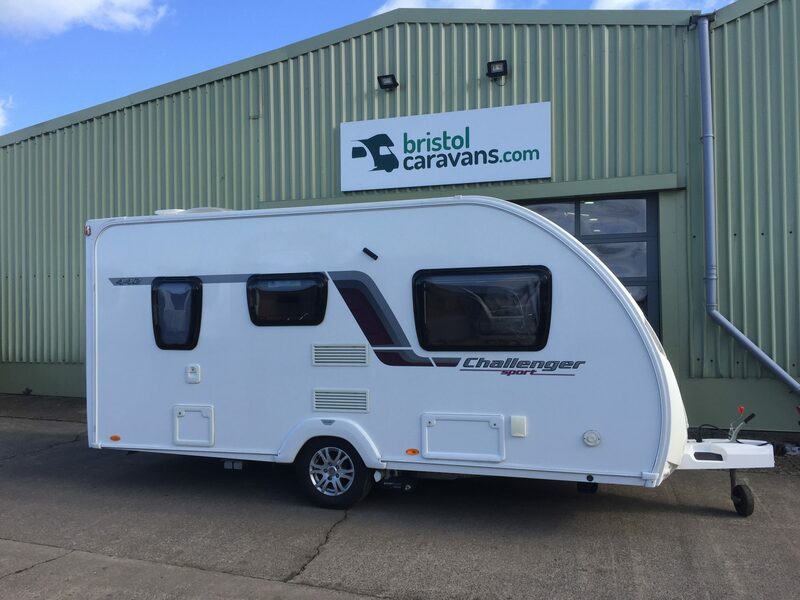 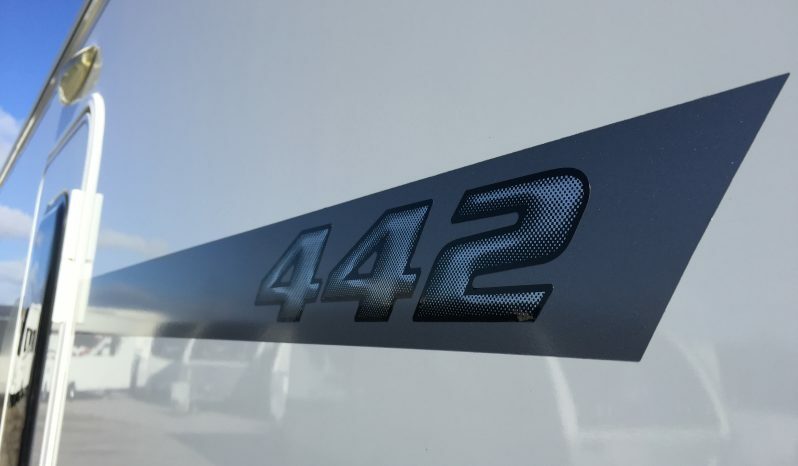 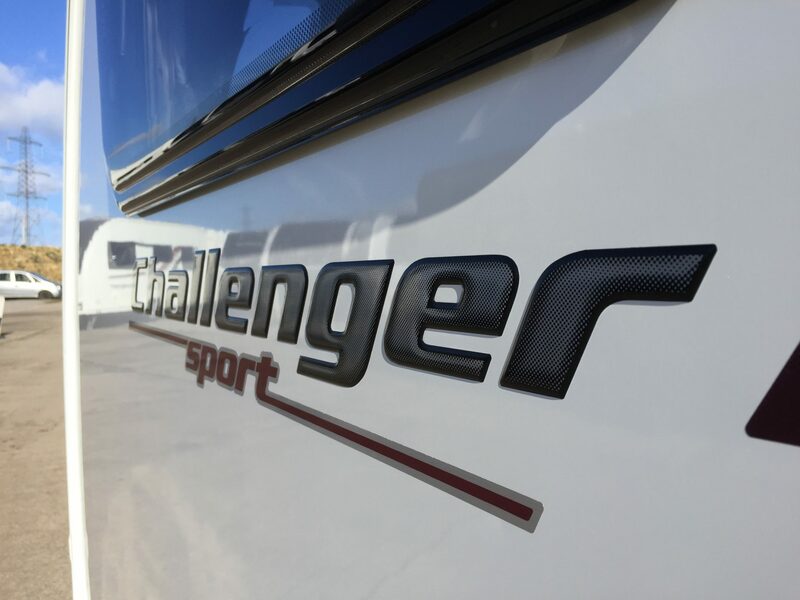 This fantastic Swift Challenger Sport 442 SR, is a spacious layout designed for couples who want comfort. 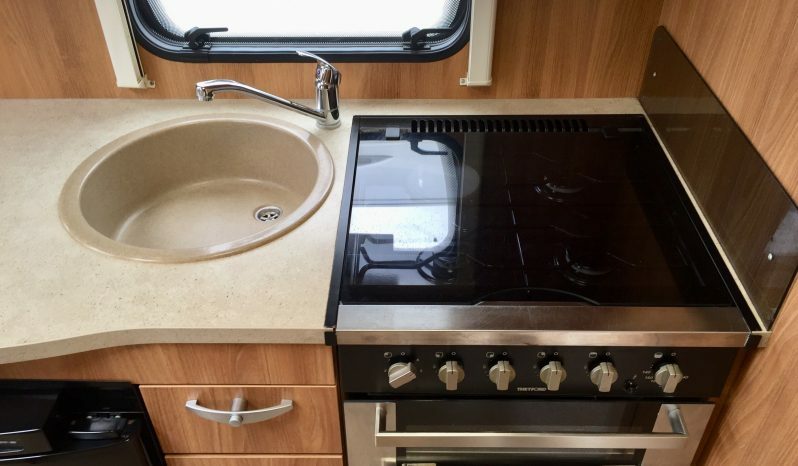 This has been very well maintained with 5 stamps in the service book. 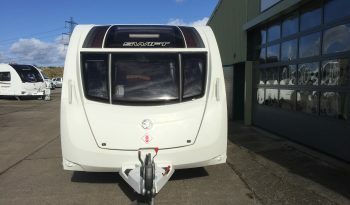 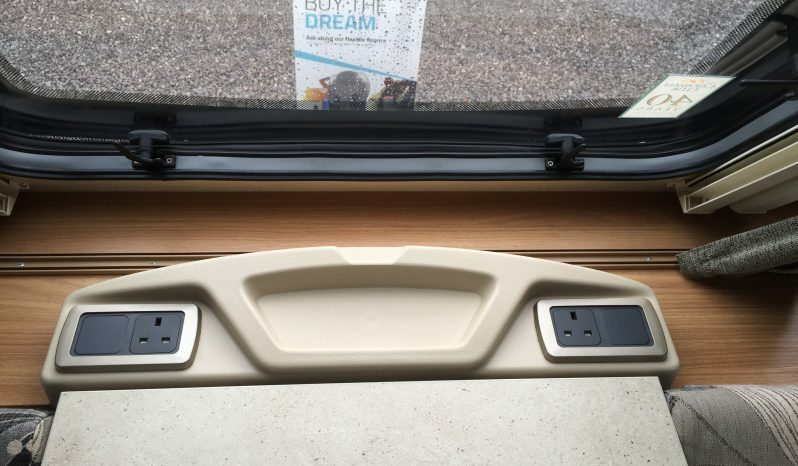 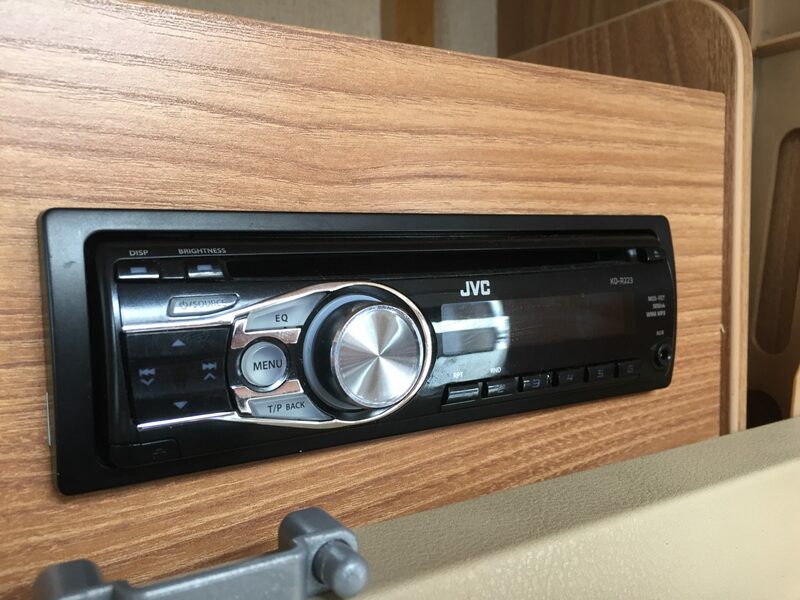 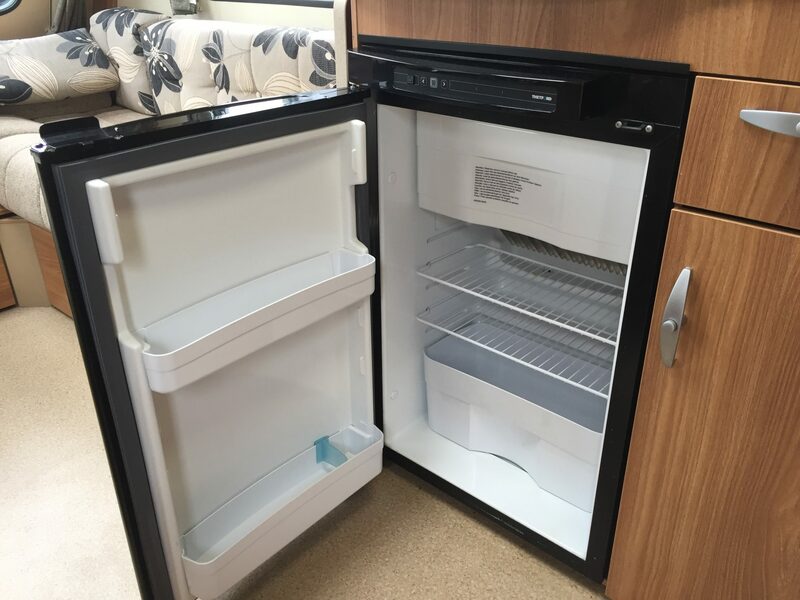 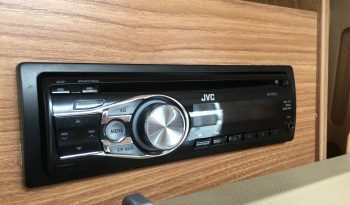 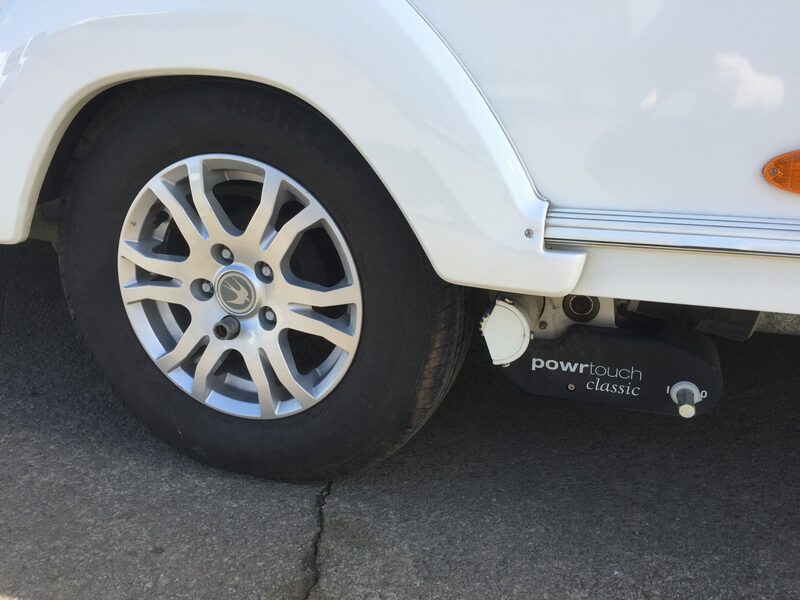 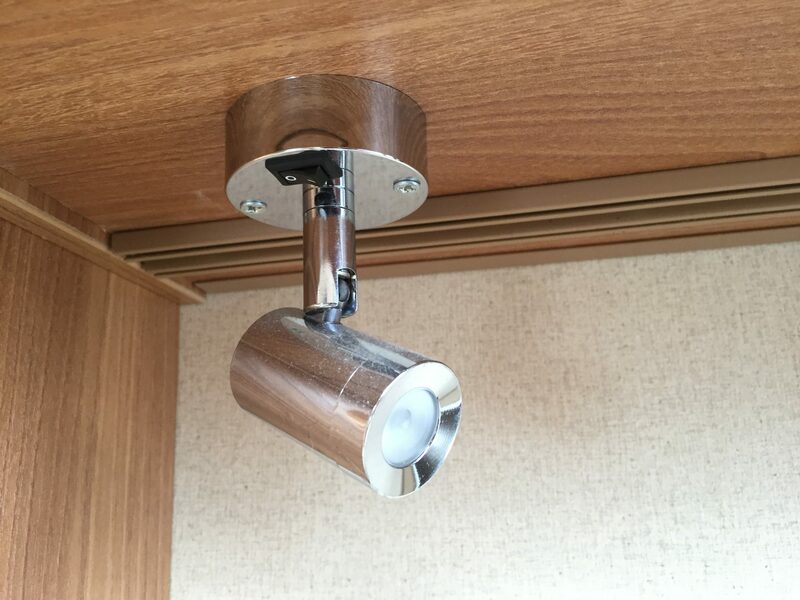 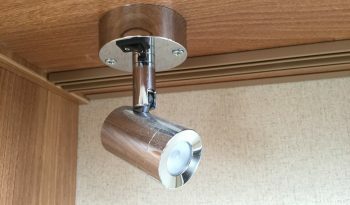 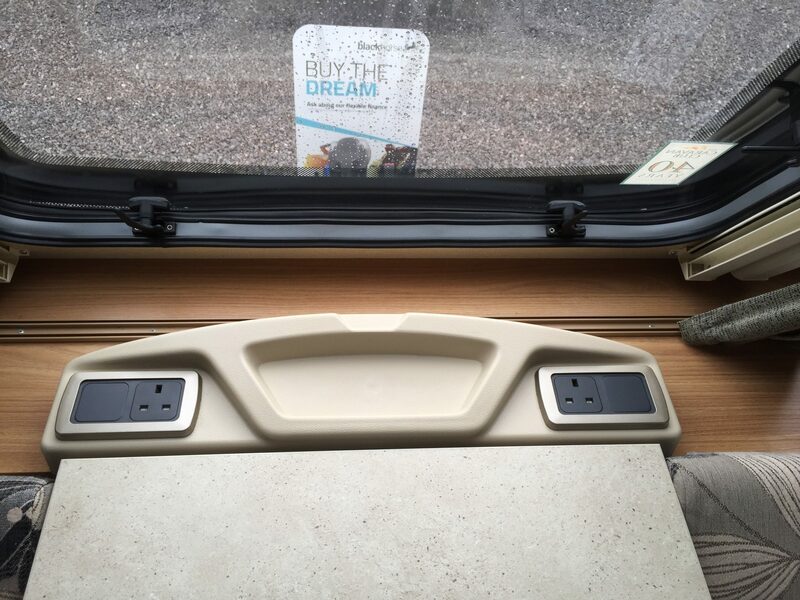 It has a Powertouch Motor Mover fitted making manoeuvring and parking the caravan very easy by remote control. 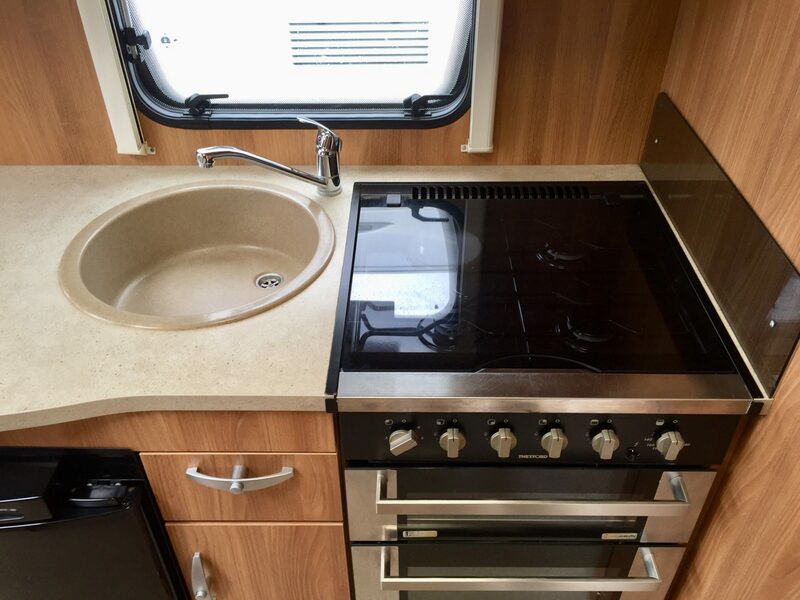 The kitchen offers plenty of space with a large sink and a drop down worktop. 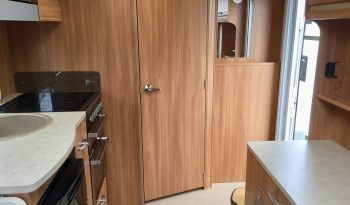 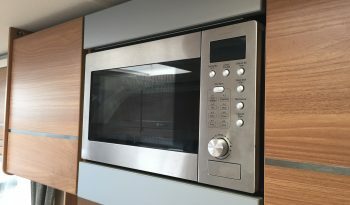 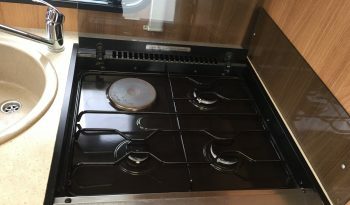 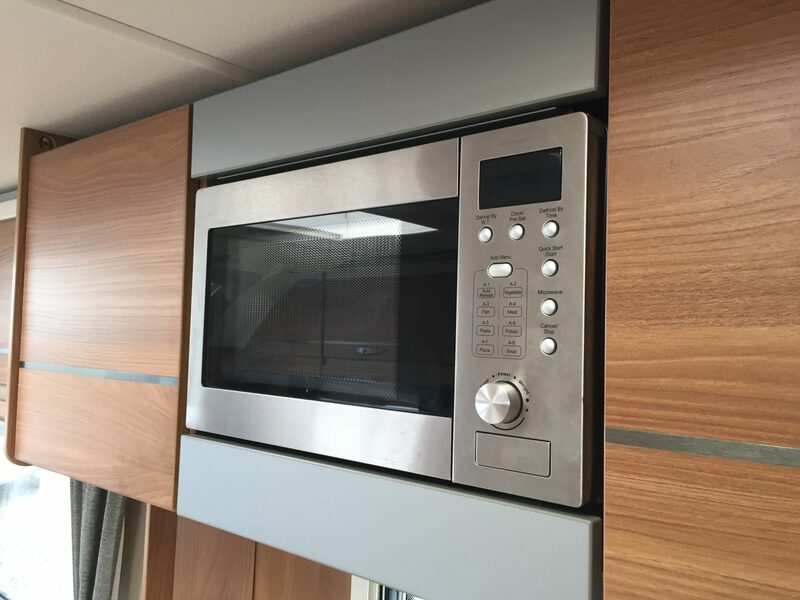 There is a full gas oven with 3 burner hob and electric hot plate and a stainless steel microwave located in the lockers above. 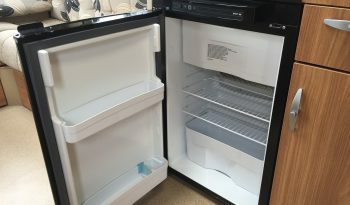 The Fridge is 12v/Gas/230v. 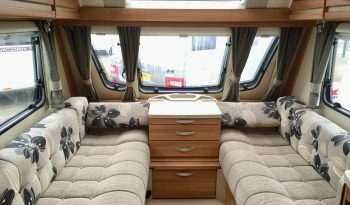 The living area has parallel seating with good access to the under seat bases which is great for larger items. 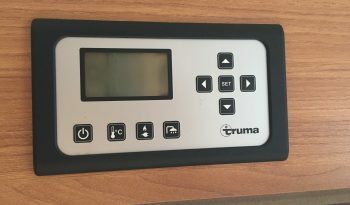 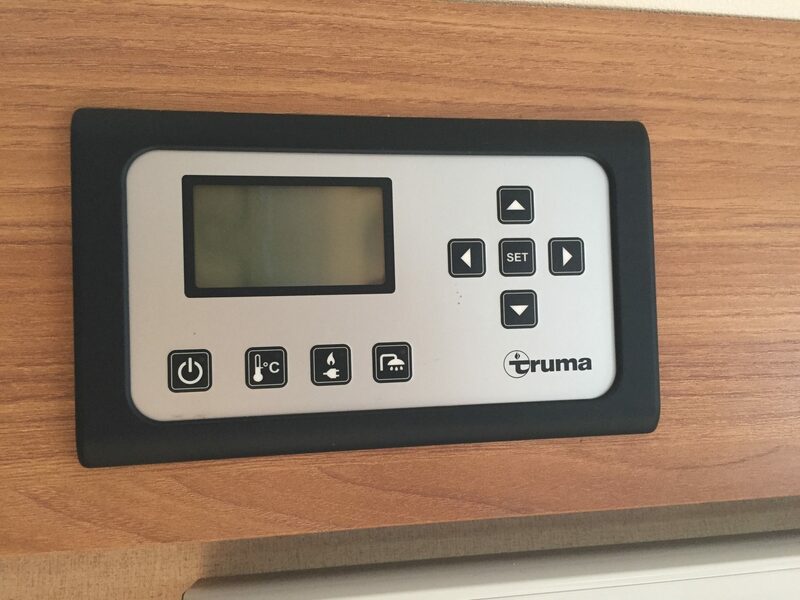 Truma Gas/230V combi boiler with programmable timing for heating and hot water plus touch screen control panel. 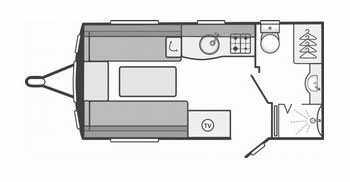 CD Stereo and large front sunroof add to the appeal. 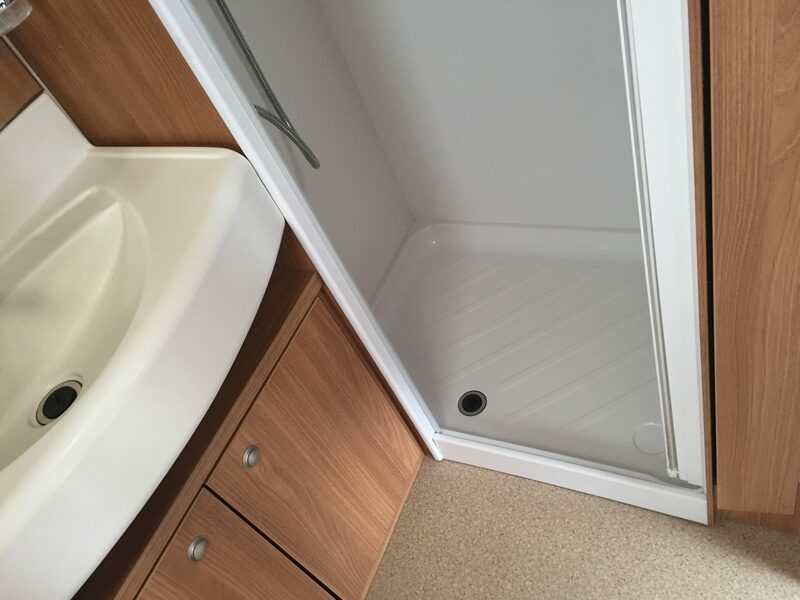 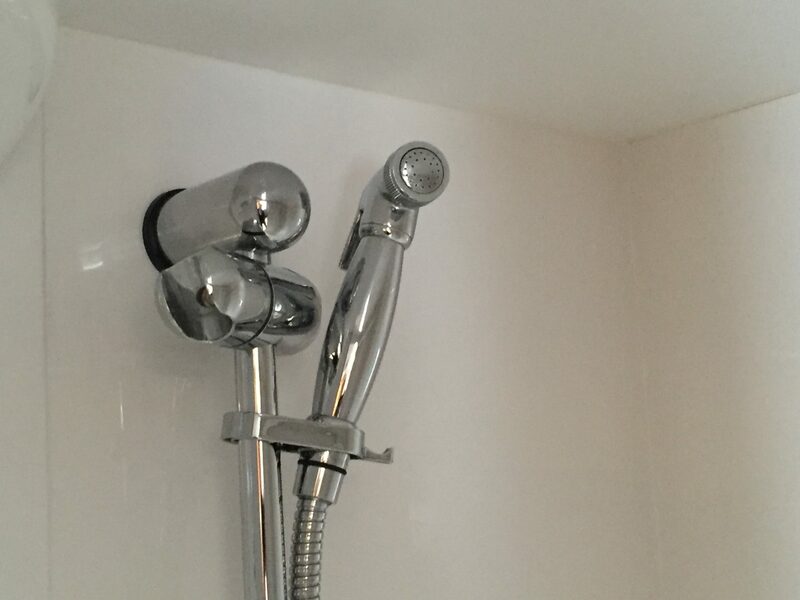 The end shower room is spacious with a lined shower cubicle and wardrobe. 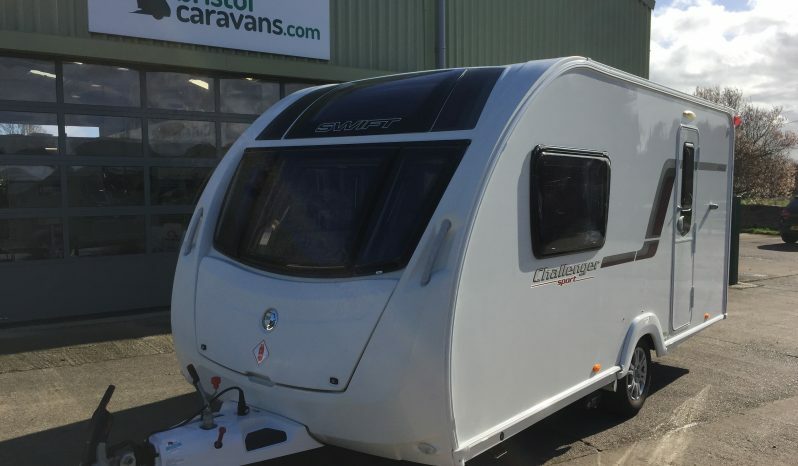 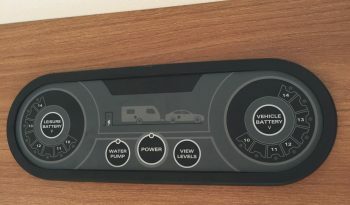 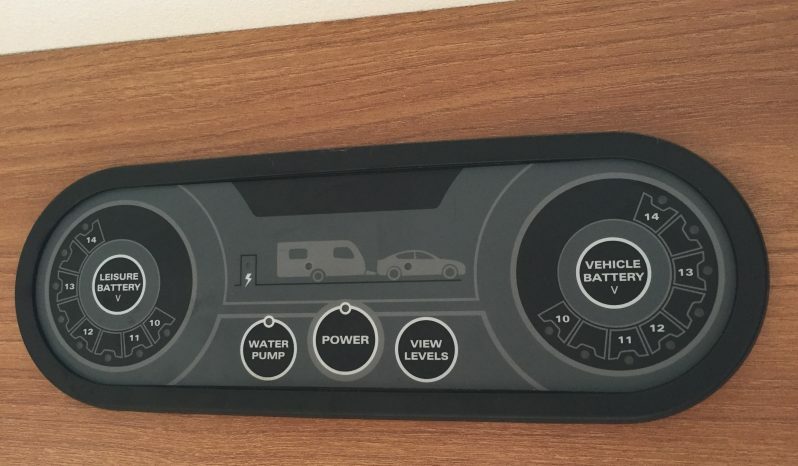 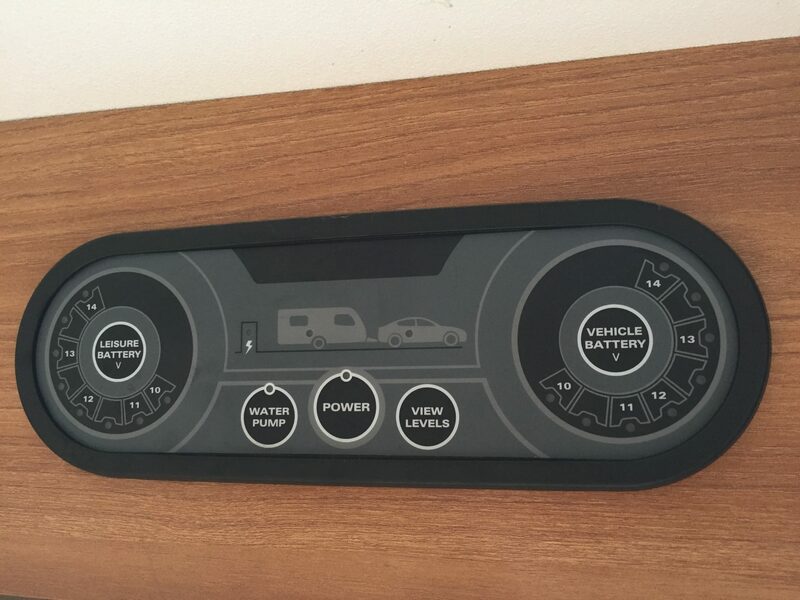 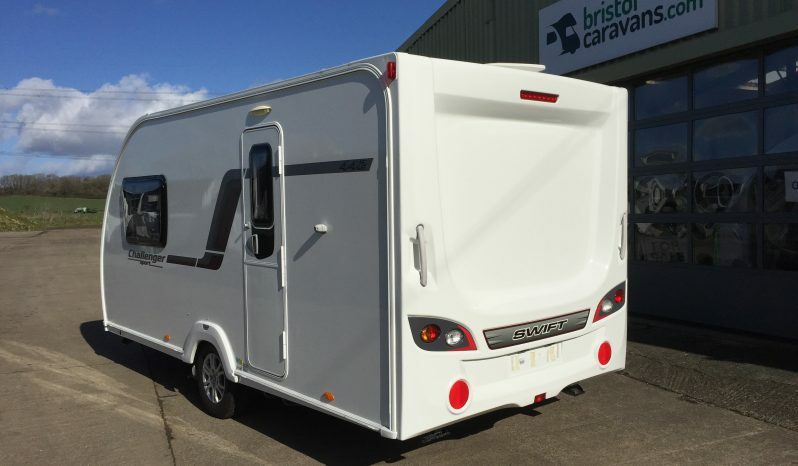 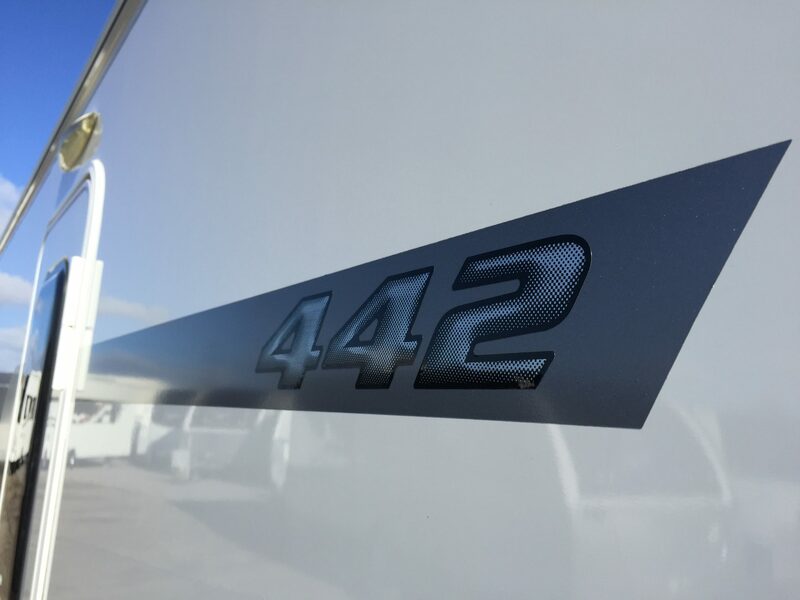 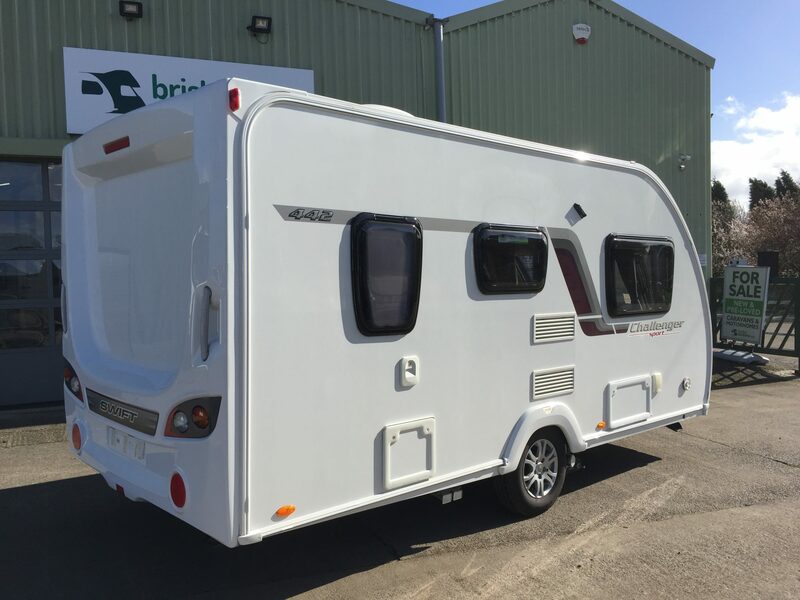 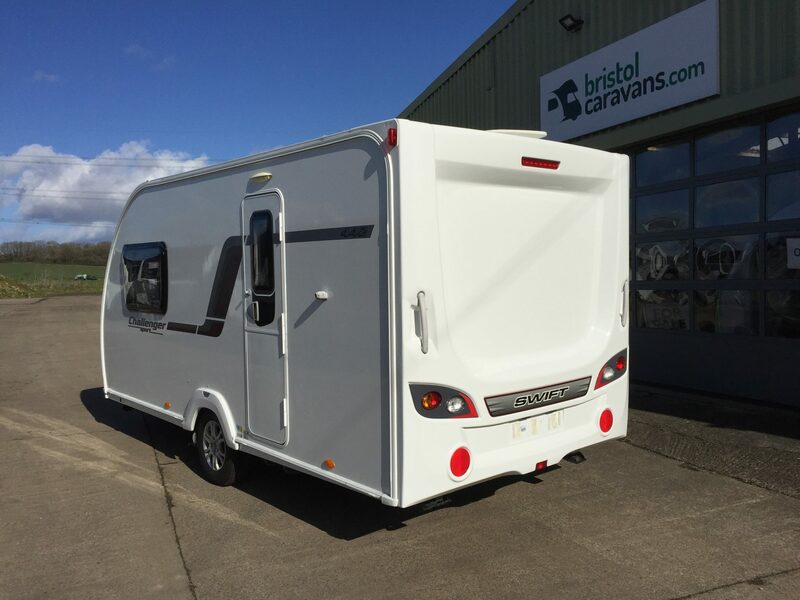 Externally the features continue with ALKO “ATC” Trailer control system, keeping the caravan safe via electronic application of the brakes in the event of the caravan starting to sway out of control. ALKO AKS stabiliser, Alloy wheels, Chassis mounted spare wheel and tyre (steel wheel). 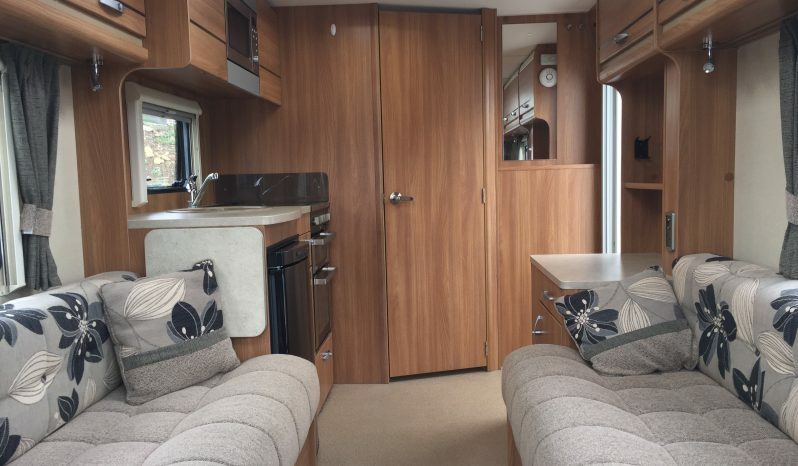 A comfortable, well-appointed mid-range caravan for couples that is light and spacious. 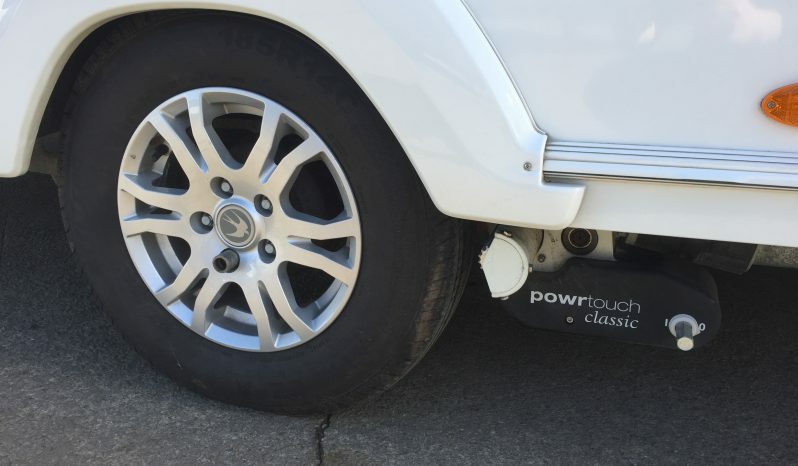 Sold with the 6 Months Warranty, Option to upgrade at additional cost. 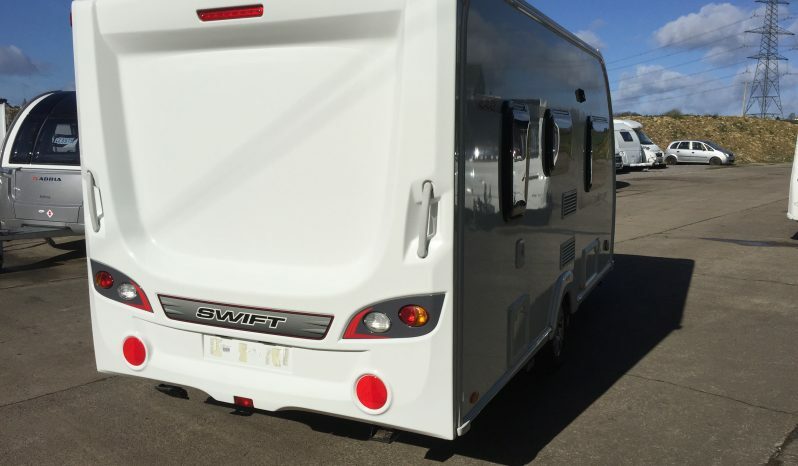 Buy from a trusted dealer with the backing of an approved AWS workshop. 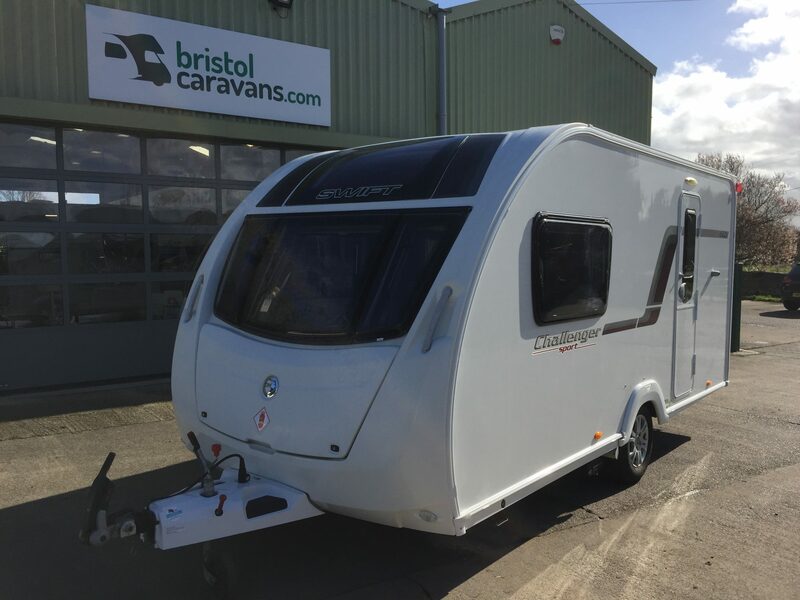 Let Bristol Caravans support you on your on going adventures.